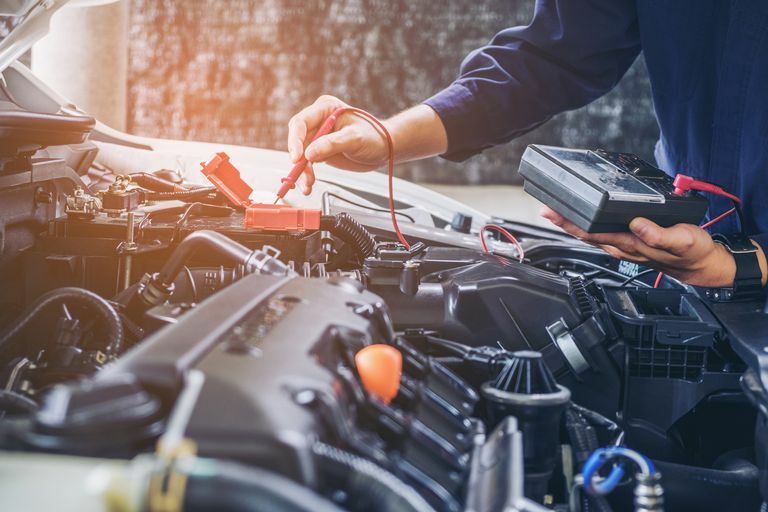 Car diagnostic tools run the gamut from low tech gear that you might already have in your toolbox to the prohibitively expensive equipment used by professional automotive technicians. Some of these tools are absolutely indispensable, and you can probably take a pass on others without inconveniencing yourself too much. Although cars have been trending more and more toward computer controls and diagnostic equipment in recent years, it’s important to start with the basics. With that in mind, there are a few decidedly low tech (and somewhat less than low tech) tools that every DIYer and backyard mechanic should have in his or her toolbox. If you’re working on an older car, then this sort of equipment (along with items like a compression tester, leak-down detector, etc) is basically all you’ll need to perform your own diagnostics. However, this type of gear can also be essential in properly diagnosing newer vehicles. The only difference is the starting point since vehicles that have computer controls will often provide you with "trouble code" to get you started. The two main categories of high-tech car diagnostic tools are code readers and scan tools. The most basic computer diagnostic tools are simple code readers, which means they can pull codes from your car’s computer. You can then look that code up, which provides you with a starting point for your diagnostic procedure. In most cases, a code reader will allow you to read and clear codes. The ability to clear the codes is important since that allows you to see if your repair fixed the problem or not. Some code readers also provide basic access to live or freeze frame data from the computer. Scan tools are code readers that have some added functionality. Basic scan tools allow you to read and clear codes, but you can also view all of the available data from the car’s computer. Depending on the tool, you may be able to scroll through all of the available information or set up your own list of parameter IDs (PIDs) that you are interested in. In addition to reading codes and displaying PIDs, scan tools typically also provide a little more information about the codes. Depending on the specific scan tool, it may simply display some very basic information about what each code means, or it might provide some level of information about how to proceed with your diagnostic. The most expensive scan tools provide extensive knowledge bases that can speed up a diagnostic procedure considerably. Other than code readers and scan tools, scopes and other meters make up the other main car diagnostic tool category. The most vital tool in this category, by far, is a basic multimeter, which is a piece of equipment that can prove to be extremely flexible. This is the tool that you’ll use to check everything from a parasitic drain in your electrical system to whether the element in your heated O2 sensor is bad or not. If you have access to some type of scope, you can test an even wider range of parts and components. A lot of sensors and other components put out signals that can be read by a scope, which can make it almost as indispensable as a basic multimeter. Beyond basic scopes and meters, you find professional automotive diagnostic tools. These tools typically combine a scope, DVOM, and troubleshooting procedures together in a single unit. Most of this equipment is too expensive for a DIYer to bother with, but it can be incredibly useful in helping to diagnose cars more efficiently. Whether working on cars is a hobby or a cost-driven necessity, most DIYers and backyard mechanics are better off with inexpensive alternatives to expensive professional tools. It’s tough to argue against the usefulness of a Snap-on scan tool, but if you’re just tinkering around for the fun of it, or you’re trying to save some money, then it’s probably better off with a cheaper alternative scan tool. Although there are some good consumer-grade scan tools and code readers out there, one inexpensive option is to go with a scan tool that can interface with your computer, phone, or tablet. These scan tools rely on the ELM327 programmed microcontroller, and they interface with your computer, phone, or tablet via USB, Wi-Fi, or Bluetooth.